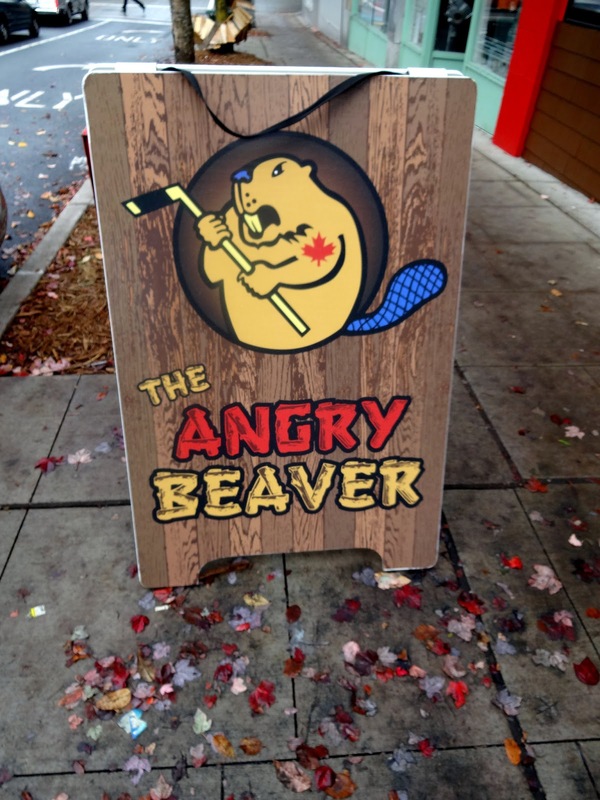 First of all, the Angry Beaver is not a bar for militant lesbians. It is a Canadian/hockey bar. So there, I saved you the embarrassment of having to ask. 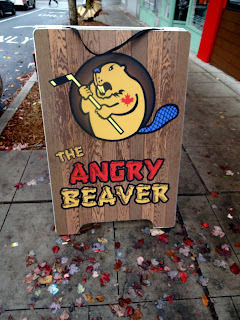 Why the beaver is angry, I do not know, perhaps due to the cold and/or the annual NHL work stoppages. 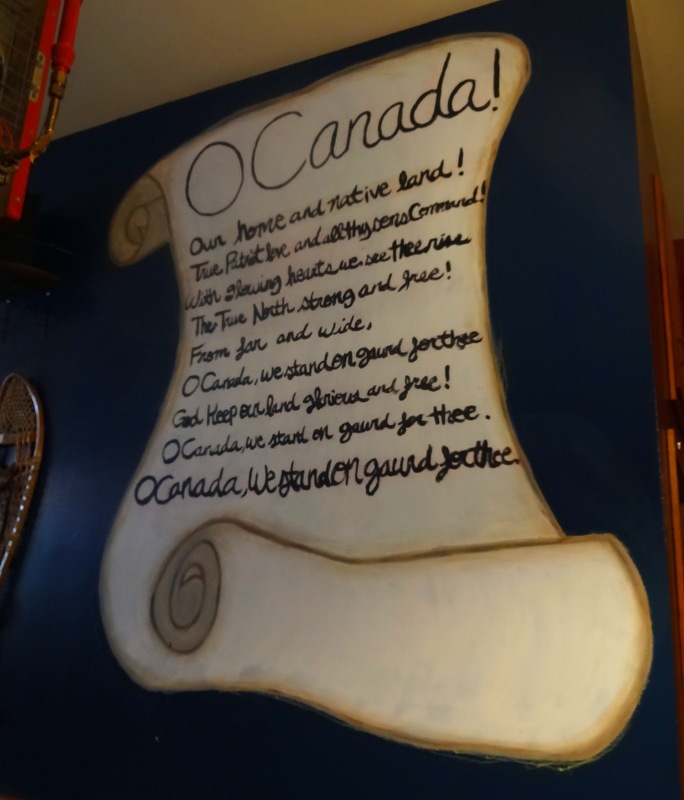 At any rate, if you live near the northern U.S. border, I do not have to tell you that our neighbors across the border are getting pretty cocky these days -- with their banks that don't blow up their economy, their crazy colored dollars being worth more than ours for a while, and their crazy poutine showing up everywhere. Like every patriotic American, I have Heinz ketchup on my fries, and save the gravy for the mashed potatoes. 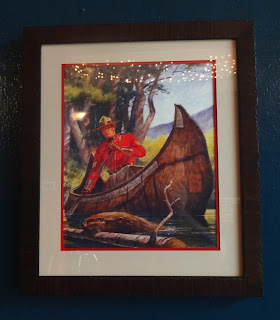 But the Angry Beaver does not even stop at the gravy-on-fries depravity, they actually serve a "flight" of three different gravies -- mushroom, beef and curry -- on three little igloos of fries. Further, the A.B. 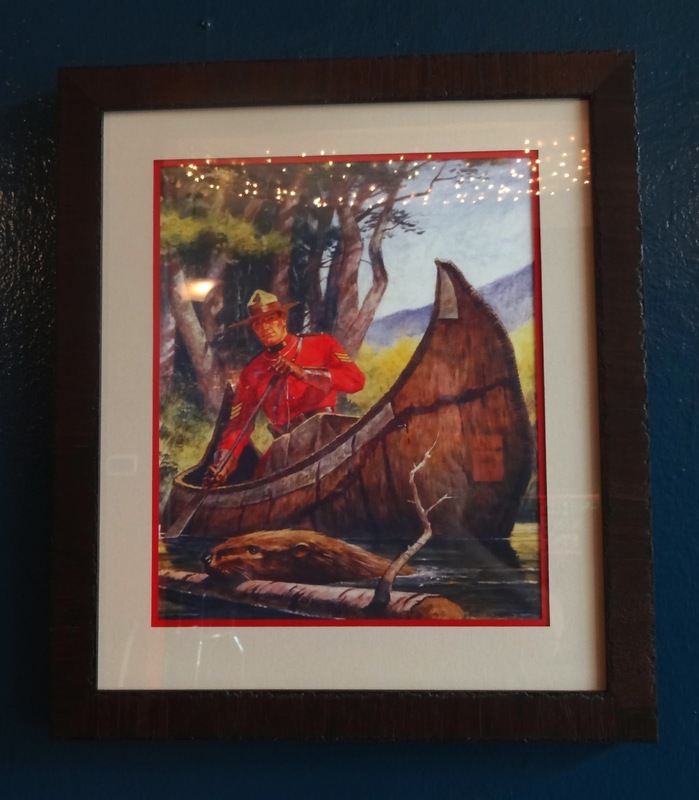 boasts that they are "the only Canadian themed bar in Seattle," which is a bit like the Montana bar expressing surprise that they are the only Montana-themed bar on Capitol Hill. 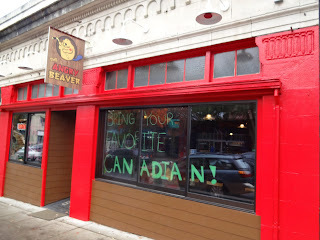 But all is not lost at the Beaver, as they adopted some American conventions, such as electricity, and they do have whiskey, so at least you are not forced to drink Kohakee. And since NHL hockey is virtually always in some kind of lockout, there's an excellent chance you'll find football on the TVs instead. Also, if you don't already have the munchies, it looks like the Beaver got a jump on Washington state's pot legalization, as they big red images of marijuana leaves on banners and throughout the establishment. We were given an eager introduction to the place by friendly bartender Adam, who did a remarkable job of hiding his anger. In fact all the staff seemed to be quite adept at disguising their anger from customers, and they also spoke fluent English, as opposed to the baffling tongue you often hear up north (e.g. "Do you have two loonies for a toonie?" WTF is that?). 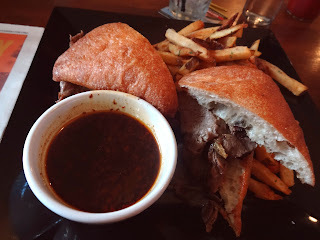 In fact they were so personable, that I plan to go back every now and then, to enjoy a drink and to witness their bizarre characteristics -- such as the belief that it is exciting to watch a game that that is 1-1 after two and a half hours of just going back and forth every couple seconds. 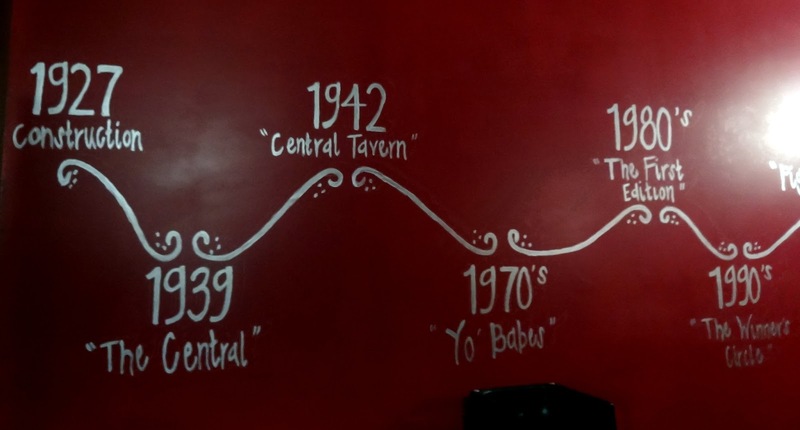 Historical notes: This space, built in 1927, has hosted a variety of bars since the 1930s. City guides list a bar owned by Harvey Mashinter here in 1939, and if this was not already the "Central Tavern" (not to be confused with Pioneer Square's Central Saloon), it was so-named by the early 1940s, and remained under that name into the 70s. It became "Yo Babes" sometime shortly after that, and then "The First Edition" by 1980. 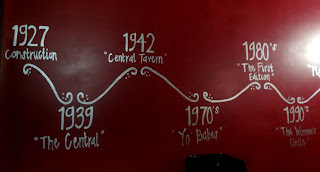 By 1983 it was the Greenhouse Tavern; by 1985 it was "The Fillmore", by 1990 it was "The Winner's Circle" and then in 1995 became the "Pig and Whistle."